SARS are changing their focus and expect more work from the employer. The new IRP5 reconciliation process is proof of this. Information provided by the employer is uploaded into the SARS e-filing system so that employees can do their tax returns online. You, as the employer, have the responsibility to ensure that the information on the IRP5 is 100% correct. 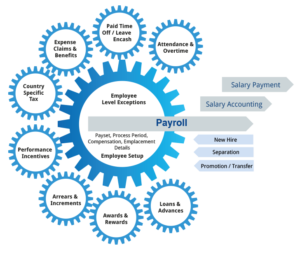 More and more businesses are outsourcing their payroll function and for very good reason. If you haven’t outsourced your payroll yet, here are some reasons why you should give this some thought. It saves costs. You don’t need to hire an employee with specialised knowledge who does not get utilised the whole time. It saves time. Keeping up to date with all the laws can be very time consuming and frustrating. You get people with specialist knowledge to do your payroll. You get professional looking reports. You can focus on core business activities. We can handle your full payroll function or any specific service you may re quire. These services include the following. Preparation of weekly or monthly payslips.